Now considered one of the greatest rock acts of all time, the early years for Bruce Springsteen & The E Street Band were anything but smooth sailing. Despite critical acclaim, Springsteen's 1973 albums Greetings From Asbury Park, N.J. and The Wild, The Innocent & The E Street Shuffle failed to make much commercial impact, and his frustration at such has been well-documented. 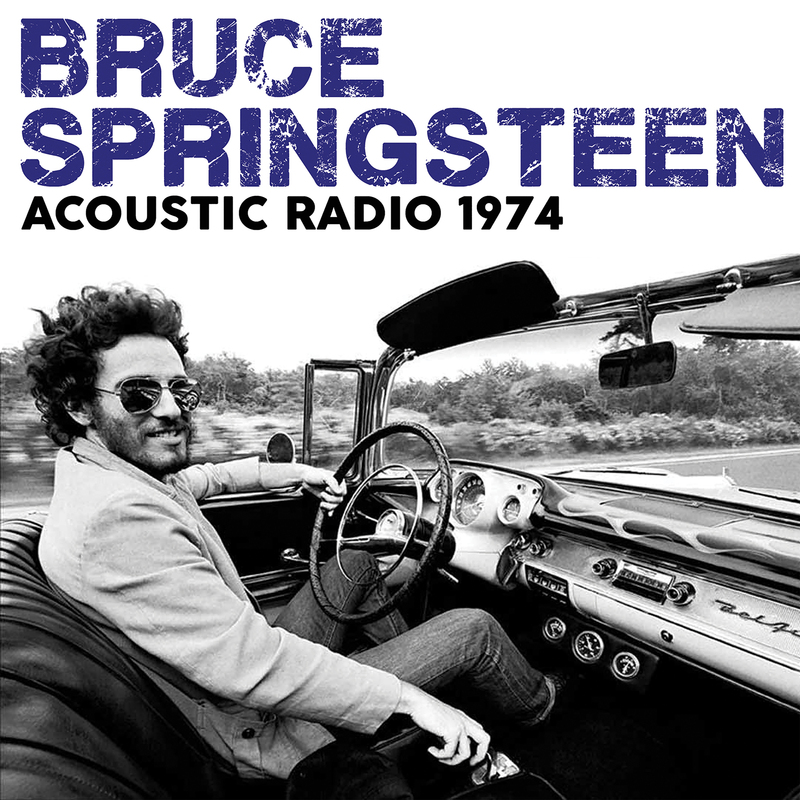 In an effort to boost sales, Bruce and the band played a number of radio shows across the country during 1973 and 1974, largely playing acoustically during these appearances. Although the radio shows ultimately had little impact on early sales of the albums, the sets resulted in some of the finest moments of Springsteen's early career, and two such events are captured in their entirety on this CD. The first set is taken from the group's in-studio performance on KLOL-FM in Houston, Texas, on 9th March '74. Broadcast in exceptional audio quality, the group play a selection of tracks from their first two records alongside 'Satin Doll', a Duke Ellington cover that featured regularly in early sets by the group, and a quite magical version of 'The Fever', which was not released on album until 1999. The second set, recorded a month later on 9th April, was broadcast by WBCN-FM in Boston, Massachusetts, and stands out most notably for an incredibly rare acoustic version of 'Rosalita (Come Out Tonight)'. Both sets close with a cover of the Chris Kenner hit 'Something You Got', a song also covered by Wilson Pickett, Booby Womack and Fairport Convention. These appearances demonstrate just how charismatic and talented a performer Springsteen was, even at this early juncture, and it is no surprise that his next album, 1975's Born To Run, finally saw him breakout into the big time. This CD - along with its sister collection, Acoustic Radio 1973 (Good Ship Funke, 2015), is a fascinating example of a group performing when on the cusp of greatness and huge international success.